It’s a real danger in Silicon Valley. I’ve seen it happen to my neighbors—but not me. <sigh> Now the President is warning us of this rare, but terrible, plight. Just so you don’t fall into the “Oh, no, I have more money than I need” dilemma, I’ve gathered some helpful hints. Bling H2O bottled water-$38/bottle for the limited edition bottle decked out in Swarovski crystals bottled in Tennesee. BMW 3-series wagon – A man in California reportedly purchased one for the sole purpose of having his housekeeper take his dogs to the vet. Girl’s bed – $47,000/Designed like a coach available at Posh Tots. A Gucci chainsaw – Gotta have it. In my former life, I was a journalist. Once, I had decided to write a news article on train travel, and Amtrak had comped me three tickets to do it. The travel required that I ride the Coast Starlighter from Salinas to San Luis Obispo, wait 20 minutes, and catch the train back. My daughter, 4, and my mother-in-law accompanied me. It was a great experience, but we were delayed on the first leg, which meant we would miss the connection home. 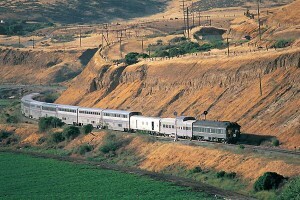 To my surprise, when we reached San Luis Obispo, they had held the train that would take us back to Salinas. Apparently, Amtrak didn’t want a “fun train travel” article to turn into a “when you miss your train home” article. The best part of having a train held for you is walking the length of the train with everyone staring at you. 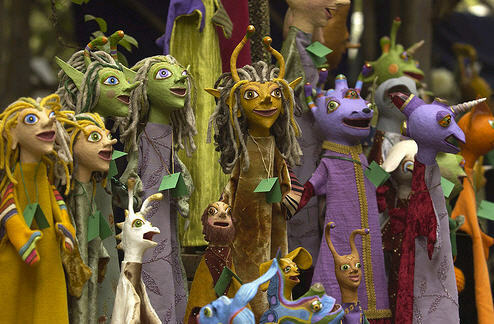 For a moment, we weren’t just Grandma, mom, and little girl, we were famous people. It’s not easy living the virtual life. It’s now Spring in Silicon Valley and the sun is beckoning. But that puts such a glare on my laptop screen, I am inside. There’s blogs to write, Facebook posts to answer, and I must follow Lance Armstrong on Twitter. Somehow, he finds a way to live a virtual and real life, but then, as a cyclist, his balance is better than most folks’. So, I need to install some app on my computer that allows me to virtually ride my bike and tweet, update my website and burn calories. Until there is, I am anchored to the sad fact that one must go outside to ride a bike. Maybe that’s a good thing. Though I think falling down in an application and virtual road rash would be easier to take than the real thing. Don’t honk if you see me out there. It always scares me. The squirrels of Silicon Valley are like no others. They love to cross the road on telephone wires. I have always wondered if one day, one wouldn’t slip and land spread eagle on my windshield. I guess that’s why you have windshield wipers. Back when I was a newbie commuter here, I remember the first time I saw the true expertise of Silicon Valley drivers. A squirrel was running in circles at the intersection of El Monte and El Camino. Why he lost it at that time (the morning commute) and the intersection (one of the busiest in Mountain View) is a mystery. Maybe he was drunk and slip off a telephone wire. 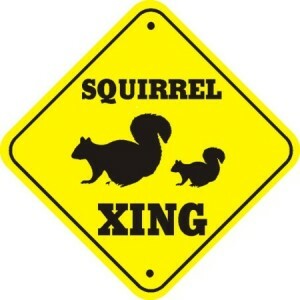 To my surprise, my up-until-now heartless fellow commuters were doing a great job of not hitting the squirrel. 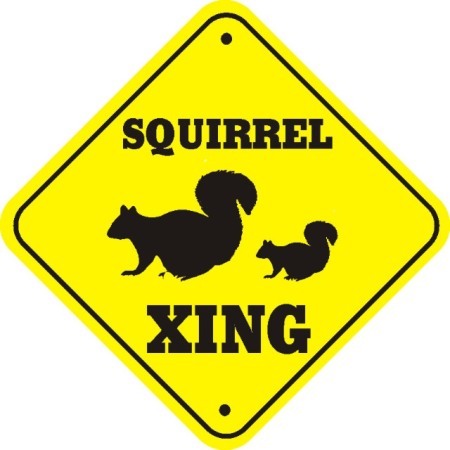 It inspired me enough to add it to my book, “OLD HUSBANDS’ TALES” where a group of eclectic, high tech coworkers, who will bet on anything, lay money on the odds of a squirrel surviving in the intersection of De Anza & Stevens Creek. For all the time I’ve spent collecting lottery from my coworkers, you would think I would be a heck of a lot richer than I am. At least we are doing our part for California schools. However, all this “loan me a dollar” and “let’s-play-these numbers” inspired me to write “OLD HUSBAND’S TALES,” a novel about a group of eclectic, high tech coworkers who hit the big one with their office lottery pool and end up with a reality TV show. Next time life isn’t working for you, go buy a lottery ticket. It will work wonders-at least for little while.